Manufacturer: H&M, of New York, N.Y. Hazard: The metal buttons can come loose and detach from these garments, posing a choking hazard to young children. Incidents/Injuries: H&M has received one report of the metal buttons detaching. No injuries have been reported. Description: These jackets are light blue denim with two breast pockets, a gray knit hood and gray knit sleeves. The buttons have “BABY” written on the front. A red and white “A” patch is sewn on the front, a blue “3” decal is on one sleeve and a red football is on the other sleeve. 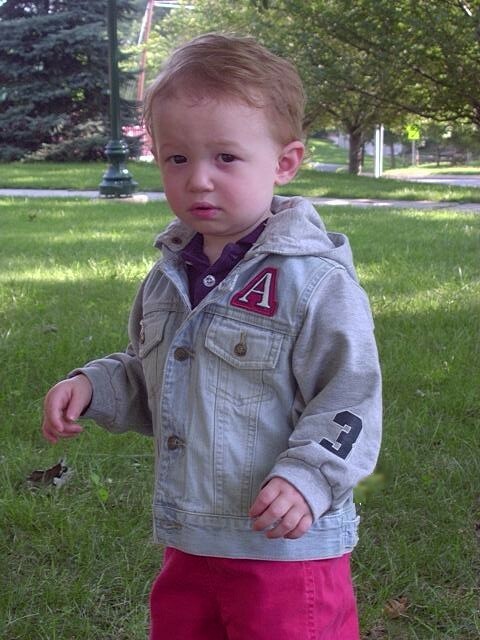 The recall included jackets sold in sizes 2 months through 18 months. Style number “432740” is written on the laundry care tag inside the jacket. “H&M” is written on the collar label. Sold at: H&M retail stores nationwide from January 2005 through May 2005 for about $15. Remedy: Take these jackets away from young children immediately, and return the jacket to any H&M store for a full refund.